Everything changes when the foot hits the ground. Truer words have never been spoken. In order to treat someone with pain effectively and most successfully, the treating chiropractor must examine their patient’s movement patterns. This begins with how they walk. Orthotics also known as insoles, orthoses or shoe inserts, are designed to correct foot posture and abnormal or irregular walking patterns. Foot orthotics are not just “arch supports,” although this term is often used to describe them. They perform functions that make your everyday activities more comfortable and efficient, by altering the angles at which the feet strike the ground when standing, walking, jogging, running and jumping. Orthotics are shaped insoles placed inside shoes with the purpose of restoring natural foot movement. This is necessary when the natural balance of our lower body has been disrupted by, for instance, over-pronation. Many common complaints such as heel pain, knee pain and lower back pain can be caused by poor foot mechanics. 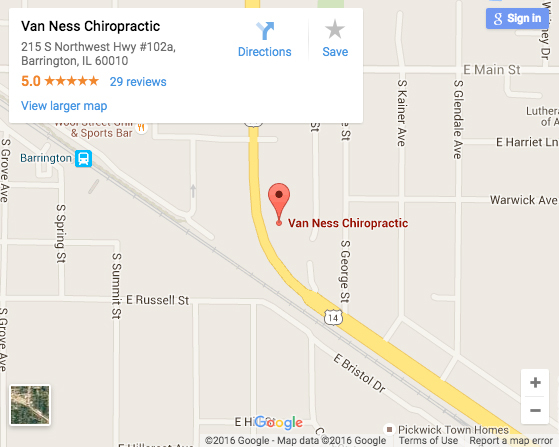 At Van Ness Chiropractic, we take a holistic approach to any biomechanical problem. We understand that the problem may not always be located around the area of the body where you have pain. In some cases the problem may lie in a number of areas, such as pelvic dysfunction, leg length discrepancies, tight or poorly toned muscles as well as poor posture. If we do not find that your problem is caused by your foot position or poor biomechanics, we will not prescribe foot orthotics. Correction of poor foot biomechanics with orthotics can improve and prevent many types of pain conditions and symptoms such as: Achilles tendonitis, metatarsalgia (pain in the ball of the foot), sesamoiditis, toe pain, ankle pain, tibialis dysfunction, impingement syndrome, plantar fasciitis, neuroma, tendonitis, policeman’s heel, heel spur, pronation, bunions, shin pain (compartment syndrome, shin splints), knee pain (chondromalacia patellae, patello-femoral syndrome). There is a significant difference between regular insoles and orthotics. Regular insoles are purely designed to provide a cushioning effect and shock absorption. They may feel comfortable at first, however they do not address any biomechanical problems – they are not designed to correct over-pronation. On the other hand, orthotics are a functional device, designed to correct and optimize foot function. 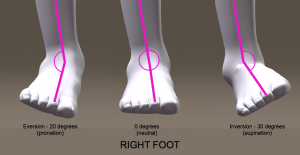 The most common form of bad foot biomechanics is over-pronation, which is the dropping of the arches and rolling inwards of the feet and ankles, causing flat feet. It is estimated that 70% of people in the western world are affected by over-pronation. 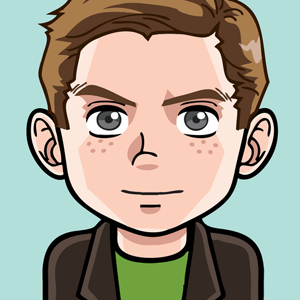 This condition presents itself in varying degrees of severity, with some people over-pronating more than others. The fact that so many of us suffer from over-pronation due to fallen arches can be contributed to the hard and flat surfaces we walk on daily. Other factors that play a role include age, weak ankles and excess body weight. As a result, over-pronation is much more prevalent in people above the age of fifty as well as those who are overweight. Over-pronation doesn’t pose a serious problem in the short term, especially for younger people. However, abnormal foot function over a period of time can lead to serious foot problems like heel pain, heel spurs, plantar fasciitis and metatarsalgia (pain in the ball of the foot). Foot problems can also cause pain elsewhere in the body. For example, an over-pronated foot will make the leg rotate inwards (internal rotation) which in turn may have repercussions further up your leg and lower back. As you compensate for the pronated foot you are likely to feel symptoms of aches and pains as far away as the knees, hips and the low back. Orthotics are an effective and inexpensive solution to the over-pronation problem. Buying a pair of orthotics can be a worthwhile investment to your health as they can prevent many problems.